Trimming is expensive and prone to numerical error. It is difficult to maintain smoothness, or even approximate smoothness, at the seams of the patchwork as the model is animated. Subdivision surfaces overcome both of these problems: they do not require trimming, and smoothness of the model is automatically guaranteed, even as the model animates. 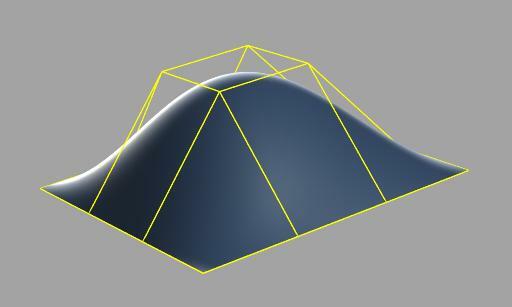 The basic idea is to construct a surface from an arbitrary polyhedron by an appropriate repeated subdivision of each of the faces, as illustrated in Figure 1. 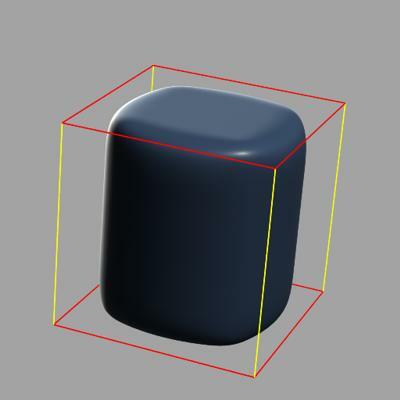 This subdivision process eventually converges to a smooth surface that is commonly called the limit surface (which is the result of rendering). 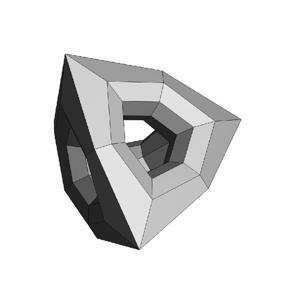 Fig.1 Recursive subdivision of a polyhedron. The control mesh is at the top left. Following in left to right order, are the mesh after one subdivision step, two subdivision steps, and the limit surface. 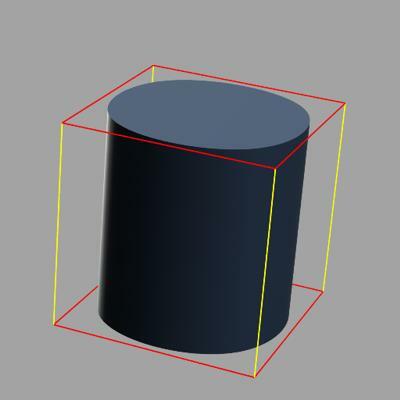 Catmull-Clark surfaces strictly generalize uniform bicubic B-splines; that is, a region of the Catmull-Clark surface represented by a rectangular mesh of points is exactly equivalent to the corresponding uniform bicubic B-spline. Using this knowledge, you can, with some care, craft together a patchwork of surfaces mixing Catmull-Clarks and B-splines, and have them join together seamlessly. 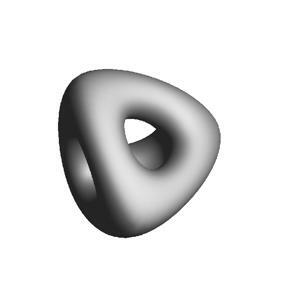 It is possible to modify the subdivision rules to create piecewise smooth surfaces containing infinitely sharp features such as creases and corners (Fig. 4). As a special case, surfaces can be made to interpolate their boundaries by tagging their boundary edges as sharp (Fig. 5). However, we've recognized that real world surfaces never really have infinitely sharp edges, especially when viewed sufficiently close. To this end, we've added the notion of semi-sharp creases, i.e. rounded creases of controllable sharpness (Fig. 3). These allow you to create features that are more akin to fillets and blends. In PRMan, as you tag edges and edge chains as creases, you also supply a sharpness value that ranges from 0-10, with sharpness values >=10 treated as infinitely sharp. It should be noted that infinitely sharp creases are really tangent discontinuities in the surface, implying that the geometric normals are also discontinuous there. Therefore, displacing along the normal will likely tear apart the surface along the crease. If you really want to displace a surface at a crease, it may be better to make the crease semi-sharp. Fig. 2 Simple surface with control mesh in yellow. Fig. 3 Surface with semi-sharp creases (in red) set to 2. Fig. 4 Surface with infinitely sharp creases (in red). Fig. 5 Open surface that interpolates boundaries. As far as texture mapping goes, you might suspect that for a subdivision surface, there is no global st-space. Normally, we can use projection techniques and "paint" textures directly onto the surface. 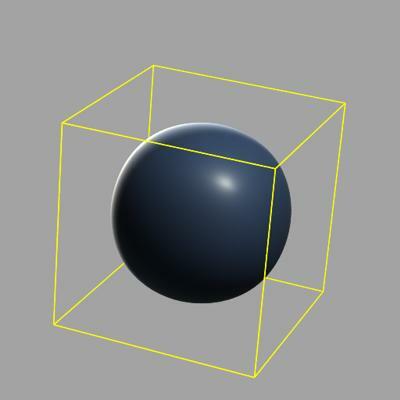 Subdivision surfaces, like other PRMan geometric primitives, allow users to associate Pref data with vertices so that projected textures can be handled properly. Edges intersect only at their end points. Each edge must be adjacent to either one or two faces; if one, then it is a boundary edge. Each vertex must be adjacent to at least two edges, i.e. 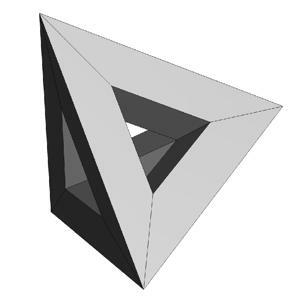 there are no "dangling" vertices. A vertex is uniquely referenced through its index, i.e. references to two points that have the same geometric coordinates do not constitute references to the same vertex. Tony DeRose, Michael Kass, Tien Truong, "Subdivision Surfaces in Character Animation," SIGGRAPH '98 Proceedings, Orlando, FL, July 20, 1998.